More than 800 Farm Bureau producer members, voting delegates and guests from across Virginia will look toward the future of farming at this year’s Virginia Farm Bureau Federation Annual Convention. Almost 300 delegates representing 88 county Farm Bureaus statewide will gather Dec. 2-4 at The Omni Homestead Resort to shape the organization’s state and federal policies for the coming year. During the convention, which has as its theme “Farming for the Next Generation,” delegates will discuss and vote on policies that could affect current and future generations of Virginia farmers. Sands was named the 16th president of Virginia Tech in December 2013 and began his term in June. He previously served as executive vice president of academic affairs and provost of Purdue University. Like Virginia Tech, Purdue was founded as a land-grant university. Convention attendees also will have the opportunity to watch Farmland, a documentary film produced by award-winning director James Moll. Farmland follows the lives of six young farmers, who share their passion for agriculture and their concerns for its future. During the business sessions on Wednesday and Thursday, voting delegates will elect members of the VFBF board of directors to represent Districts 1, 4, 7, 10 and 13. They also will elect a VFBF president and vice president and chairmen of the organization’s Women’s Committee and Young Farmers Committee. With 128,000 members in 88 county Farm Bureaus, VFBF is Virginia’s largest farmers’ advocacy group. 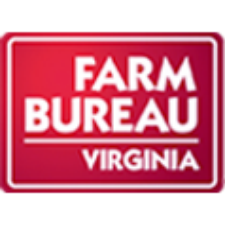 Farm Bureau is a non-governmental, nonpartisan, voluntary organization committed to protecting Virginia’s farms and ensuring a safe, fresh and locally grown food supply. View more convention news as it becomes available atVaFarmBureau.org/NewsVideo/ConventionNewsroom.aspx.